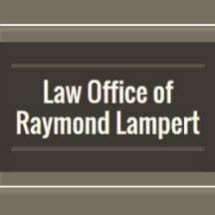 Based in Springfield, Missouri, the Law Office of Raymond Lampert provides sound guidance and aggressive advocacy for clients facing a number of different legal issues. Attorney Raymond Lampert has achieved successful outcomes for people in all types of employment matters. He is one of the few lawyers in southwest Missouri who represent employees in employment litigation. His experience and knowledge in this field provides significant benefits for people who have been victims of wrongful termination, employment discrimination or other illegal acts. The firm is also able to take on other types of employment issues, from sexual harassment and whistleblower claims to prevailing wage cases. Whatever your employment concern, you can count on Raymond Lampert to navigate the legal process. Raymond Lampert also represents injured people in personal injury claims and businesses in a variety of matters. In all of his practice areas, he provides excellent client service. When you have a question or concern, Raymond Lampert will make himself available to discuss your concerns in a timely fashion. He also prepares diligently to prepare every case for trial. While many, if not most, cases are settled prior to trial, this preparation frequently leads to positive outcomes for the firm's clients. Call 417-893-0963 to schedule a free consultation. Raymond Lampert accepts employment and personal injury cases on a no-recovery, no-fee basis.